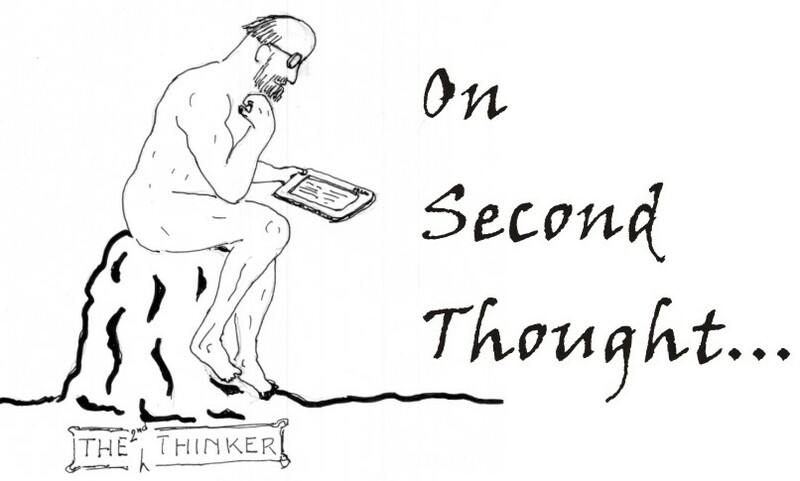 This blog is at best pure grist for the Thought Mill--YOUR thought mill. What you do with that is up to you as an individual. But it is usually the second and further thoughts that do matter more. Today most of us lead our lives in the fast lane; a lane so fast and dizzying that we hardly have time for thought--any thought. And in the process many admit that they feel 'disconnected' from life and society. Had a little time been devoted to thought, we would have been at least clear-headed about many of the conundrums that rain on us every day. Do share your thoughts, so that this will be a better world some day--sooner than later! That he is a respected senior journalist and an astute political observer and commentator was what over the past years drew his readers to the many articles of TVR Shenoy. Without exception, his pieces were peppered with sound arguments qualified by keen observation and a unique understanding of the complex 'mathematics' behind the issues. So it was with much expectations that I, surely alongwith many like-minded all over the country, dipped into his recent pronunciations on Mr Kejriwal and the AAP. ( http://www.rediff.com/news/column/ls-election-column-tvr-shenoy-keriwal-is-walking-the-path-to-destruction/20140319.htm ) The quote from the Bhagavad Gita at the beginning prepared the reader for a balanced judgement upon the erring (according to TVRS) AAP boss. But unfortunately, despite a typical assemblage of supporting facts, the rather shoddily and hurriedly constructed argument soon came to a facetious conclusion -- that Mr Kejriwal should better have second thoughts before "..ranting and raving against the very media that propelled him to fame" and success in December, 2013. And the author is sure that the end of it all is going to be a replay of the grand Kurukshetra spectacle. Kurukshetra was the scene of the mother of all 'Black-against-White' battles of history and lore. And most of us would know that the Bhagavad Gita is the wisdom of life's philosophy as preached by Lord Krishna with which he persuaded Arjuna to shed his queasiness and gird up for the battle. So far so good. But was that not about the quintessential defeat of evil, and the triumph of good? Ah, yes, now we get it. In spite of being projected as "Mr Good" by the condescending media, and pushed onto a gilded seat in December last, Mr Kejriwal, the thankless villain, is now showing his true colours as the personification of evil. I have no qualifications to preach in a Lordly manner to TVRS about the media being the stout Fourth pillar of a civilized society and all the related stuff. But the fact being such like, it is prudent to examine what the media was doing in the past decade or more when the Nation was going through a slow and steady slide down a slope in all spheres, and God forbid, it appeared to do that according to a well-scripted scenario. It would not be far from the truth that, apart from occasional barks of some of the 'watch dogs', the "cushy" quietude of the media scene was seldom disturbed through these long years of nepotism and undisguised graft. The media, as is taught in better media institutions, has many roles to play. The first and foremost is to report to the "aam aadmi" (the "aurats" too are included, automatically!) what all is happening in the country and how it will affect his life and fortunes. Another of the tasks is to 'educate' him about issues about which he may have little knowledge or time to brush up on. The "watch dog / whistle-blower" role too is an important one, given the nature of politicians to choose greed and graft as their bedfellows. The operative question here is how well did the Indian media --and its respected stalwarts-- play these roles in the troubled decade in which the "aam aadmi" could do with a hefty dose of "being wised up" and hand-held. Apart from the national headlines of this scam or that, which kept surfacing with alarming regularity (and which soon died a natural death in the amnesic public mind), what concerted analysis and moral onslaught did the keepers of the media's conscience mount on this erosion of honesty and integrity? Pretty little. The visual media, even sunk to the nadir of media responsibility when it wore kidgloves to interview a mumbling head of the nation in the post-scam days. Now the veteran journalist TVRS speaks of the media that had "propelled (Mr Kejriwal) to fame". Had he himself portrayed Mr Kejriwal as perhaps a righteous answer to the rot in the polity? Had the media undertaken any such campaign to project his anger and frustration at the colossal graft that had engulfed the society? All I could say is, I don't know of any such media blitz. It doen't need a PhD in media studies to know who owns and runs most of the media that matters. Indians are second to none when it comes to perfecting the fine art of "media gate-keeping", all the while shouting themselves hoarse about their openness and impartiality. When a frustrated and angry Kejriwal "ranted and raved" against the corporatized media, the journalistic pundits in the North all exhibited a knee-jerk reaction. It was left to the more honest and media-savvy practitioners of the art from the South to issue a sound and studied response to Mr Kejriwal's protestations. ( http://www.thehindu.com/news/national/why-overreact-to-kejriwals-criticism-ask-journalists/article5789153.ece ) All I wish to do now is to plead with Mr TVRS to spend some time in honest self-examination. Even today, the Indian media remains by and large "filtered", and whatever unfiltered news that gets around is mostly via the social media -- which again is victim to the draconian powers of the rulers. 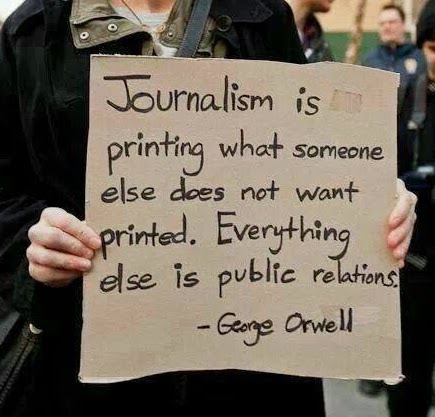 This is particularly so when the news makers happen to be "persona non grata" so far as the ruling class, the opposition, the other "stake holders" and the media barons are concerned. How could this fact be "white-washed" and hidden anymore? Coming to more "serious things", TVRS says "...whether it is foreign policy or defence strategy, sharing river waters or nuclear energy, the AAP refuses to have a coherent policy on anything..." So unfortunate. Yes, these are all big things, more serious issues, and perhaps life-and-death matters for the country as a whole. C'mon, what are the pronouncements of the major parties on these issues? What do they say about such issues in their election manifestos? (Not that manifestos are sacrosanct documents to be followed in letter and spirit post-elections!) Not much, except make vague noises about vague things. TVRS continues to analyse the many shortcomings of AAP: "... (it) has no policy framework, no declared ideology to give it a structure.... no record of governance.." I know the author is old enough to answer the same set of questions factually if he were to ask those about Nehru and his cohorts when they took over the reins of government from a seasoned Mountbatten. Still India did not sink into the oceans, and thanks to the Five-year Plans and such like, even progressed to a degree of self-sufficiency in many areas. But thankfully in those days "development" meant other things, and not a squeezing of the common man and siphoning of the Treasury into ever deeper pockets. Let us go back for once to the pre-election days of UPA-1. Did they release a 'road map' of what all they were going to do as regards the above key areas once they came to power? Did they once let the people know that once they came to power they would let FDI flow in unhindered and would sign various nuclear agreements and such like, with no indemnity clauses offering protection to the Indian citizenry?? Did the UPA-2 (or their "standard" adversaries) even mention that it was their plan to slowly and steadily erase the 'losses' of the petroleum companies by giving them autonomy to decide prices? Did they telll us they will permit companies to bring in genetically modified seeds and foods? Did they tell us they would give corporates heavy subsidies so that they would look after the "aam aadmi" with love and affection? Did they tell us about the Andhra bifurcation??? A thousand questions beg for answers. Election manifestos are good for providing laughs -- in the post-election scenario for the victors once they go over their clever skulduggery. Ma Karma Phala Hetur Bhurmatey Sangostva Akarmani "
["You have the right to perform your actions, but you are not entitled to the fruits of the actions. In his infinite wisdom, the Lord is sure to have intended these timeless words as a reminder to the "aam aadmi" too, particularly before the cruel month of April! We, the people of India (aren't we thrilled when we pronounce that phrase our Founding Fathers have put down in the Constitution!) beg to present the following before you. As any "aam aadmi" could learn if they care to visit the Election Commission's website, it is the Constitution of India that has vested in the EC the powers of "... superintendence, direction and control of the entire process for conduct of elections to Parliament and Legislature of every State and to the offices of President and Vice-President of India". If you dig further, you will be tickled to see "...elections to the Lok Sabha are carried out using a first-past-the-post electoral system ... the winner being the candidate who gets the maximum votes ". Oh my, it is as simple as a race, with the first to touch the tape declared the winner. How simple and time-tested and time-honoured! Another vexation for the humble citizen voter has been the proliferation of people who styled themselves as "people's reps", but whose past was mired in criminality and anti-social activities. This sometimes meant all the buttons of the EVM were assigned to candidates who were basically a bunch of bad apples, oranges or mangoes. In the good old days, the "aam aadmi" could gleefully put his stamp upon all the names, and the vote will be declared invalid and not counted. But today's voter, thanks to your largesse, could now register his displeasure and disapproval of those self-styled servants of the public. The NOTA (none of the above) button, we feel, has as much importance as the others that represent each candidate. Had it been representing somebody "other than the above list of you know who", surely when the polled votes was "first past the post", s/he would be declared the winner. But the democratic wisdom of the EC has unfortunately chosen to ignore in toto "the will of the people" that is represented by the NOTA button. This, sir, is most unfortunate and undemocratic, if not completely unsportive. No amount of tautological acrobatics is going to prove that "none of the above" means "one of the unwanted above". No, and NO! How could anybody come to such an interpretation? In simple terms, the voter is saying that he does not see anybody whom he could trust as far as representing him is concerned. It is not a question of the "lesser devil" winning. This is not the time nor occasion to bring up questions of real, proportional, democratic representation and all that. Let us just say that if the EC is willing to ponder for a moment what was the spirit of democratic elections envisaged by our Founding Fathers, then surely the EC would readily declare a re-election with a list of new candidates -- if/when the NOTA button's tally crossed the post first. It is usually the politicians who are fond of giving peple little sops when the public gripes. You raise a hue and cry for a Lok Pal, and they readily give you one -- sans tooth and nail! You raise a clamour for a NOTA button, and there it is on the EVM in the very next election. But to what avail? Sir, we understand, your exalted post is no political seat, and your duty has been sanctioned by the Constitution itself. It is our humble prayer that you should at the earliest link the NOTA button to a more meaningful and truly democratic implementation of the will of the people, in letter and spirit. While on the subject of the spirit of democracy in elections, may we invite your attention to, and learned action as regards the interpretation, of a couple more factors. The first is that of the present practice of a person contesting from more than one constituency. This, simple reflection would tell us, is not in the spirit of the representation of the will of the people of a locality, and further, it is wasteful of the resources of the EC too. This has to be done away with, sooner than later. The second, and perhaps a more important point upon which your immediate attention should be focussed, is the somewhat vexing problem of unelected people occupying responsible positions of power. Surely we understand that amending the Representation of the People Act requires more than your indulgence. Still, the Nation's larger interests will be served if we specify that no post in this country, from that of the Panchayat President to that of the Prime Minister, shall be occupied by a person who has not faced the litmus test of being elected by the people in a democratic contest. It is with prayers for consideration of our pleas and fervent hopes of an impartial and just intervention in these matters, that we present the above before your honourable self. Idioms, in any language, are wonderful ways to convey deeper and subtler shades of meaning. They offer us the distillate of the wisdom of ages packed into an innocent short phrase. It is no different when you think of the phrase "a level playing field". From 'play' it goes deeper into more serious territory. However, upon second thoughts, it appears that our great fathers of the Constitution had committed a truly undemocratic gaffe in not insisting on the playing field being level first before the crucial "election games" were played out. For once, ignoring the fence-sitters and the fence-jumpers, let us concentrate on the two main opponents. On the one side is the guys who have all the money, the Treasury benchers, and on the other, the chaps who must rake up a ruckus always, the Opposition. Seriously, is there any fairness when they go to the polls as far as the Constitution sanctions the rules of play? Elections are declared by the EC, but that does not automatically ask the ruling side to step down and go home and face the elections as "aam aadmis". Ditto is the case with the Opposition members -- though, admittedly, their clout is less than the ruling honchos. The tamasha of the government goes on as the manoeuvrings begin, and it is quite plain that the machinery of government and the tax payers' money is freely used by those who continue to be in power to favour themselves in the election 'match'. Where is the fairness in this? India over the last six decades has had a procession of democratically minded greats walking into the hallowed halls of the Parliament and it is a shame that none had thought of bringing in the truly democratic move to dissolve the government fully before declaring elections. We have the President and his team of Governors to oversee the governance of this huge country in the interim, have we not? Who is afraid that tsunami waves will inundate this land once all the players are banished for a month or two while the poll machinery kicks into life? The truth must be that the ruling class (and the hopefuls!) found the present "loaded dice" situation quite "convenient", and so let it be. But, on second thought, it appears to me that the task of urgently doing something to level the playing field takes precedence over all the above reforms. We don't exactly have a clutch of angels in power, and surely abuse of power and misuse of positions of power will always be part of electioneering. Not only that, so long as the culture of "kow-towing" to the powerful are embedded in the minds of the 'babus' and the police force, and to an extent in the mindset and attitudes of at least some of the election officials too, the practice of a ministry continuing in power while the election process is on, will not ensure a healthy and democratic reflection of the "will of the people". It is time we ordered in the bulldozers to begin the task -- pronto! It is amazing how that tenuous something called culture is very tenacious when it comes to not letting go of you ... despite your earnest attempts at jettisoning it like you would an impoverished relative. Culture and its ramifications are indeed a deep-rooted thing and you just cannot shoo it away on a whim, though you might dislike it much in the interests of an egalitarian society. These thoughts occurred to me as I was recently watching from the sidelines the brouhaha over the 'satyagraha' of the swamy in saffron, it's quick dispersal by a diktat of (in all likelihood) the home ministry and the ensuing battle royal of words. But before that a word about our cultural baggage called 'Chathurvarnya', which literally means four 'colours' / classes. ( http://www.hindubooks.org/sudheer_birodkar/hindu_history/castevedic.html )It is common knowledge at least to the yesteryear generations that society in India was divided for convenience (whose, is a moot question) into four classes--the priestly, the ruling, the trading and the labour groups. This, on the whole, was a very convenient arrangement. The priests, naturally, took care of all the poojas, homas etc and did their best to propitiate the Gods with yajnas and other offerings, and it was not a tough task to propitiate the priests if you had the requiste gold coins and other presents ready. The warrior class kept themselves in training and on the strength of their sharp tools of the trade, kept everybody in line and levied taxes, reigned, and lived and loved happily ever after --until perhaps their son/s took it into their heads to 'retire' the father. The traders were not much different from their counterparts of the present times, and as lobbying sirens like Ms Radia were not invented then, resorted to the more mundane ways of rigged weights and measures and some plain adulteration to chalk up sizeable profits, married into 'money' and lived happily. The labour class was kept out of mischief by solid day-long work, either in the fields or under the craftsmen builders etc. As trade-unionism and such like 'emancipating' ideas were not popular yet, they spent most of their time bent to their work and was thankful in the evening to be permitted to go home to a meal that kept body and soul together and some rest. This was a most happy state of affairs. And the world happily went round and round about its axis and none had any complaints. Brahmins were content to be brahmins, the kshatriyas were more than happy playing their roles, the traders, like always, were blissful so long as the till resounded with the jingle of money, and the poor sudras merely took their fates in their stride. Then what we now call the 'winds of change' started blowing, and from what ensued, one may not be too far from the truth if one believed that it was an ill wind that blew nobody any good. The quiet balance of society was lost as the 'colours' and castes were in a hurry to intermingle and, more often, this was to the accompaniment of physical violence. Then (let me sum up history into one sentence), for good or for bad, we Indians went in for a casteless system, and threw the 'chathurvarna' philosophy into the waste heap of history-- except in the times of elections, weddings and interviews. And in these modern times when Fair & Lovely rules, 'colour' could never hold its own, in a way, try as it might. But there are people who keep insisting that the system has its merits too. ( http://www.echarcha.com/forum/showthread.php?t=1055 ). Personally I thought I did not know enough to take sides in such a complex issue--until I heard some of the wise pronouncements of men who matter in the India of today. This was what I referred to above in the second paragraph. When a person (and that too a respected Minister at the Centre) with the background and education of Kapil Sibal endorses the merits of the 'Chathurvarnya', one naturally has to listen. ( He is the minister for the most-valued export of India too--human resources!) While commenting on the recent adventures of the saffron-clad sanysi Ramdev poaching on the territory of the professional politician, Mr Sibal was very specific as to where the lines were drawn. Coming from a man who has studied law, and more importantly, history, surely this sounds eminently reasonable to a layman like me. 'Chathurvarnyam' was by and large about keeping the 'purity' of the classes. After all, the word 'caste', pundits tell me, has its roots in 'chaste', and 'Jati', or religion, is derived from the root syllable 'Ja', which means 'to be born'. So it is probably in the best interests of everybody if we kept the 'divisions' clear-cut and separate, and kept to "our" side of the fence when it came to our pursuits in life. Just imagine the chaos that would ensue if the brahmins chose to go (okay, okay, suppose they were pushed ) into the battle field with their mantras and tantras, and no swords and no courage? What about the warrior choosing to don the sacred thread and undertake a major yajna? God forbid! What could you expect if the dapper trader were made to heft the hoe and the pickaxe in the fields? And imagine the poor sudra suddenly finding himself one fine morning on the trader's chair, or for that matter, on the throne of the ruler? With no disrespect meant, let me say this -- it will be ABSOLUTE CHAOS, as chaotic as chaos can be! What the knowledgeable minister meant was when a sanyasin (either by birth, or in the modern era, by choice and training) trespasses into areas where he has no right to tread, let alone rush in like a foolish angel, he should realize that he is upsetting the fine balance of nature. He should calmly follow his vocation of teaching yoga to all and sundry, including perhaps ministers, prime ministers and corporate honchos. Have we all forgotten the sagely and powerful Dhirendra Brahmachari who was the personal yoga guru of the former PM Indira Gandhi? He never chose to dirty his hands with politics; rather, with aplomb he got politicians to play political games of chess . Despite all our proclamations of 'modernity', India is, I am glad, at heart, a nation that bows to its cultural past and 'chathurvarnya'. I dont subscribe to the views of those who scream 'dynastic rule' whenever a minister's or a prime minister's son or daughter becomes a political functionary. Nobody cried foul when a trader's son became another, or a labourer's son or daughter went into, ahem!, labour. Even today to be a priest in one of the millions of temples in India, you have to be born the son (no daughters, please!) of a brahmin! Such is the stranglehold of your cultural past. Then why this half-hearted acceptance of a "classy" system? With such thoughts and the exhortation of our ebullient minister fresh in my mind, I logged onto the website of the Parliament to dig out the antecedents of our worthy 'netas' who steer this country along through the stormy seas of allegations and scams. If we wanted to preserve the 'chaste' nature of our caste system, naturally we had to have a look at the parentage and education of these worthies. Segregation of the 'varnas' according to the professional training was the primary standard, as per the dictum of dear Sibalji. Sadly I could not confirm whether the yoga guru under reference was trained in anything in addition to yoga. But the backgrounds of most of our ministers and MPs left me 'rolling on the ground laughing', if you will permit me to adopt the fav phrase of the 'chat' crowd. And what about economists? We have a bevy of economists in the government, beginning with PM SIngh. ( probably that is the reason for all the economic woes of the country... too many cooks!) Mr Singh ought to be enlightening students at some temple of learning instead of taking all the flak by pretending to be a politician. Both Kanimozhi and Dayanidhi Maran are economists, and look at the trouble that erupted when they mixed money, which they know all about, and politics, which was not their rightful turf. Murli Deora, our former petro minister, is a BBA from Boston University--no wonder he always ran his ministry like a businessman obsessed with profits and little else. Look at Suresh Kalmadi--he has absolutely no background in either sports or politics; he is a graduate of Fergusson College, Pune, and also an alumnus of the National Defence Academy, Kharakvasla, and then trained in the Air Force Flying College,Jodhpur and Allahabad. What is he doing in his present position (not inside Tihar jail) instead of serving the country in the field in which he was trained at considerable expense to the taxpayer? We will all have some trouble pinning down Shashi Tharoor --B.A. (Hons), M.A., M.A.L.D, Ph.D., D.Litt (Honorary), Dr. Honoris Causa, educated at St Stephen`s College, Delhi University, New Delhi, and Fletcher School of Law and Diplomacy at Tufts University, U.S.A. What qualifies him to be in politics? Chidambaram, our astute Home minister, has the unbeatable combination of science, law and business administration under his belt (if he wears one over his dhoti should be no concern of ours), but sadly, he too lacks any qualification in politics. Our future hope, Rahul Gandhi, has an M Phil in development economics from Trinity College, Cambridge University, U.K. But instead of being a member of the committees that attempt to steer the country along lines of economic development, what is he doing jetting/biking around, getting arrested etc and playing the politician? His father was a pilot and his jumping fences into politics was not a wise decision as everybody knows. His mother Sonia's qualifications ( 1. Three year course in foreign languages (English & French) completed in 1964 at Instituto Santa Teresa, Turin, Italy; 2. Certificate in English from Lennox Cook School, Cambridge, UK, completed in 1965) make her eminently suited to an advisory position in one of the many committees on education-- but certainly not politics. My 'treasure hunt' on the Parliament's website revealed to me one thing beyond any reasonble doubt. Almost all the "sitting politicians", including the perspicacious and amply loquacious Mr Sibal, are "fence jumpers" from one 'varna' to another, and in doing so they have violated the 'chasteness' of caste/varna as defined under the 'chathurvarnya' system, and as upheld by Mr Sibal. It is interesting to note that my hurried search succeeded in unearthing only a couple of "professional" politicians-- Mulayam Singh Yadav [B.A., B.T., M.A. (Political Science)) and our own beloved, omni-present Pranabji [M.A. (History), M.A. (Political Science), LL.B., D. Litt. (Honoris Causa)] You just cannot take an issue with their being present in government--they belong to the "political varna". What are these other gents (and ladies) doing in the political arena, instead of quietly pursuing their respective professions according to their 'varnas' of belonging/training? Perhaps this should serve as an "instrospection trigger" for them, I guess. At least Mr Sibal owes it to himself (and to all of us) to think seriously about what he himself has stated as the guiding principle of this great nation. I urge him to think nothing of what will happen to the ministry he is holding charge of once he quits, and stand by what he believes in and propel himself with alacrity to the practice of law, and make an exit from politics, which, as things stand, is no place for a gentleman and a lawyer. Perhaps the political field's loss will turn out to be the legal profession's gain. Surely we dont need lawyers to teach us politics or run this country, nor do we want business admins to encroach into the political arena. Since when has politics become the first refuge of so many "out-castes"? Sibalji is right--let each profession keep to its own turf, which would be a healthy practice if ever there was one. Psst! On second thought (lest I am viewed as a heartless stickler for tradition's 'varna' straitjacket), let me give a private tip to Sibalji: next time when you are about to project a small granite missile at somebody, see that the glass walls around you are lowered out of harm's way-- it is less messier. Long live 'chathurvarnya' -- only let us hike the 'classes' from four to forty or so to accommodate most of us comfortably! Despite being a cynic, I was one who had always believed that even to the darkest cloud, there would be that wee bit of a silver lining. For once, am I not right?! If it wasn't for that hefty and hurried post-election hike of Rs 5 in the price of petrol, how many of us would have bothered to stop and ponder the clever money-making tactics of the corporates and their cronies in the ministry? It is a fact that the slow and steady squeeze was on the consumer and the tax payer for long. Those who have a longish memory will recall the "Gulf war surcharge" that was put on fuel by the government when there was the Kuwait war. The knee-jerk protests of the political parties promptly came in its wake. But when the war ended, nobody, not even the 'watchdog' media, remembered to bark against it. If you rewind a bit and put two and two together, you could very well see when the price decontrol fever started. The Niira Radia tapes had revealed how ministers like Raja and Deora were put into place by the interested corporates. And everybody who knows our corporates --no need to mention names; they are all the chips of the same old block!! -- knows how they go about getting things done with a large bucket of grease for the palms of the ministry honchos. The other day I heard our FM Pranab whining that it was all the doing of the oil companies. Poor man, he was trying his best to scare the inflation to go away, and here were these heartless oil chaps playing havoc with his well-laid plans to contain inflation and make this India a heaven for the 'aam aadmi'. The FM and the PM (himself a financial wiz!) sadly seem not have noticed that the increase in fuel prices are likely to affect anything and everything, either directly or indirectly. You cant fault them; while studying the economic impact of such measures in minute detail, it may not be possible to notice such 'affects' that might immediately occur to the 'common sense' of the common man in the street. All I wish to say about it is, with their demonstrated 'acumen' in economics and planning, these guys won't make the grade even if the corner paanshop was recruiting somebody to mind its accounts. Ah, perhaps "scientific economics" was somewhat counter-intuitive! How these guys are continuing to formulate this great Nation's economic 'policies' is a mystery to me. Dont we have some guys who understand "straightforward economics" in this country? We think these guys are idiots who do not understand profit and loss and inflation and such stuff. But, NO!! On second thoughts, I dare say they ARE intelligent beyond measure; the problem is that we are not wired to see their reasons and reasoning, and their formulae with "secret ingredients" that make them do what we ultimately think is a foolish approach that compounds the problem. A look at a few things that have blended into the background will reveal their very clear thinking and their purpose. Simple arithmetic (easy! we can work it out ourselves; this is not running into lakh-crores to boggle our minds!) tells us that the cumulative taxes work out to more than TWICE the basic price of the stuff. And as the taxes are computed as a percentage of the price, every time the price goes up, the "cut" of the government too goes up! No wonder like brothers in thievery, there is this unbeatable nexus of the cronies! I haven't bothered to check the comparative pricing in the neighbouring countries. You could do that if you have some contacts here and there. But you dont need to do any comparative study to see that this is a grand rip-off. I phoned up a couple of friends in the industry and they confirmed most of our worst fears about pricing, about the interntional fuel trading sharp practices, futures trading etc. But ther is really no need for us to go into all that, or understand all that, in order to question the logic of our ministers and their minions when it comes to "policies" on fuel pricing. There are other little-heard stories to fuel pricing that will take us first to the high altifude games in the aviation fuel sector. At a time when the "aam aadmi" was charged Rs 60 plus for a litre of the kerosene-laced stuff called petrol all over India, jet fuel was going for less than Rs 45 a litre! By now the country is privy to the heavy and continued losses that Air India have been incurring and how it was the need of the hour to "get rid of it" to save the national waste etc etc. In a magnanimous last-ditch gesture to save the national carrier from its loss trap, the government, in 2008, wrote-off the excise and customs duties on aviation fuel. What a patriotic and timely action, we all thought! However, not only did Air India fail to get out of the red, but they drove the staff into another wave of strikes, pushing the airline into a deeper abyss of loss and debt. But Air India's loss was the gain of the other airlines--all private players and "cronies" of the government. How? When the government so charitably wrote-off the duties, it was not for Air India alone, or for a limited period. With a fell stroke of the pen, they just abolished the duties on aviation fuel! And all the private airlines were(are still!) flying about on the cheaper fuel and raking in hefty profits --putting the entire subsidy burden indirectly on the poor man in the street who pays dearly! What a Robin Hood-ian technique of robbing poor Peter to pay Paul a grand subsidy! This is what ultimately translates as Rs 67 for the man in the street and less than Rs 50 for the "high-flyers"! Surely airline companies too, like 'good' businessmen the world over, are willing to "kick back" a percentage of the profits that they make as a result of this largesse at the expense of the tax payer. If you think that the 'subsidy game' is limited to aviation fuel, think again. Diesel right now happens to enjoy subsidies along with kerosene and cooking gas. When we think of diesel, the common man naturally thinks of the railways, the backbone of the nation, and of the road transportation network, the life-line of the country. But no, there is another large group of diesel consumers who are quietly consuming all that they can without getting into any loud controversies and without rocking the boat. No prizes for guessing who this new breed is, though I am sure you may not come anywhere near the truth with your guesses. They are the mobile companies. Mobiles ran on 2G or 3G, we all thought. No sir, all their towers run on diesel gensets, and with electricity "service" being what it is in our country, you could imagine the huge quantum of diesel that would be needed to keep the networks alive. Greenpeace, the environmental NGO, has estimated that the exchequer loses a whopping Rs 2,600 crore annually as a result of the 'subsidy' enjoyed by the mobile companies. (http://www.greenpeace.org/india/Global/india/docs/cool-it/reports/telecom-report-may-2011-web-optimized.pdf ) And are we naive enough to believe that the government is ignorant of all these goings on in the country? If they really are, then it is best that we are rid of such a body of worthies called a government--ASAP! Add to this the growing trend of "portable power". Thesea are huge diesel gensets mounted on trucks that could be hired and deployed at the point of use. Apparently no rules of noise or other pollution apply to these "portable polluters". If you look around you could see them chugging away from morning till evening, and sometimes through the night, making money for the owners...and all powered by the subsidized diesel! Nobody has as yet done a study on these millions of power units that daily consume millions of liters of diesel; but the figures are likely to be equally mind-boggling as are the mobile tower ones. And what are subsidies? It is nothing but the common man's tax money, and not anybody's dowry! Think of the heavy CO2, smoke and noise pollution created by all these millions of heavy gensets and how the carbon footprint is going to be made larger as a result. We have rules to harrass the poor 2-wheeler rider on the strength of the various stages of the Bharat pollution laws. But when the railways or the buses and trucks on the roads, or now these millions of diesel gensets, spew out tons and tons of pollution into the atmosphere, our lawmakers conveniently look the other way. There has to be a dual pricing for fuel, particularly diesel, so that the core sectors get diesel at a fair price that will hold inflation in check, and the profit-making private players like mobile tower operators and portable power salesmen will have to pay a higher price, and not ride along happily at the cost of the tax payers of this land. It is high time the "free market" pricing for fuel was abolished and government controls reinstated on a critical input like fuel. That, whatever our pundits will say, is the only way inflation can be checked and development ushered in this country.The government have to see that there is more transparency about the domestic oil production and how it is tied into the system as regards pricing. If the planners and ministers do not claim to understand such simple and straightforward logic, then they could very well quit and take up profitable employment with those companies whose writ they run now. No sir, the people wont pay you good money to do such disservice as you do now to the nation. The writing is on the wall; if you can read, well and good. Before the entire nation rises in anger in a fiery revolt, it would be in your own interests to put the record straight in a hurry and price aviation fuel, diesel, petrol, cooking gas, kerosene etc in a rational manner --and NOT according to the whims of your cronies in corporatedom. Such a step might just pour some oil on the troubled waters. Otherwise it could well be a lot of trouble on exremely oily waters that wouldn't be easy to navigate..... or survive! The choice, sir, is yours to make ! Long have the government and the oil companies been playing a hide-and-seek game and avoiding core issues and inconvenient (for them!) questions. It is time we added some fire to the fuel issues so that out of the conflagration the truth would emerge. This nation was not conceptualized as a market economy where the vagaries of the market forces would determine its direction and fate. Such was NOT the idea of the Founding Fathers and Planners of this great nation, who wanted to give shape to a welfare state where the needs of the citizenry guided its policies and actions. The core systems of this nation were planned and implemented not as profit-and-loss enterprises, but as mechanisms to realize certain needs and meet certain aims, and to contribute to the stable working of this democratic nation. PM Singh and his 'liberalization' brigade are welcome to go to the founding principles of this nation if they wish to update themselves. It is evident that these worthies do not understand, nor care for, stable social systems as mediated by a people-oriented government. In this context, does the government believe that stability in the fuel sector is key to national developement? And how are they proposing to achieve that in the face of a fickle oil market? For them the best option is to leave the people and the nation at the mercy of the market forces and let them fend for themselves. At the very same moment they are not foregoing the additional monies that accrue to them by way of taxes whenever a price hike is implemented--and that too without any "sweat"! This is something akin to running with the hare and hunting with the hounds! The Indian taxpayer has made substantial investments in oil exploration and refining and related infrastructure. The Indian refining and processing costs are some of the lowest in the world. What about the Indian crude production? What percentage of the domestic needs could be met by that alone? Another little publicized fact is that the Indian oil companies process the imported crude into various value-added products and re-export a huge quantity of that, earning sizeable profits. There is no separate import of crude for this; it is clubbed with the total import, and the whole burden is put on the shoulders of the consumer in the street. This has to be stopped. It is time we got clear answers to at least a dozen questions. 1. What was the total quantum of domestic crude production in 2010-11? And its total pricing? 3. What percentage of domestic consumption could be met by processing the domestic crude? 4. What was the quantum of crude imports for the previous year ? Its total cost ? 6. Considering the above (# 4 & 5), and adding a nominal profit, what is the recommended retail price of a litre of the 'imported' fuel? Is it cheaper or costlier than the domestic processed fuel, and by how much? 7. What is the total quantum/value of re-exports of petro products made by the oil companies in the same period as above? 8. Have the above value-added petro products been manufactured from crude imported separately or from the total quantum of imports for the year? 9. What is the profit that has accrued to the oil companies from the above (# 7) export transaction? 10. What are the Central taxes/State taxes respectively on a litre of fuel? 11. What was the tax amount that accrued to the government each time as a result of the last three price hikes? What percentage of the taxes are ploughed back into oil-related fields? 12. What was the total subsidies that were given to the oil companies? On what basis was it computed? As we all know, these are all 'inconvenient' questions for the "powers that be". Vague statements and obfuscation have been the characteristics of "official speak" in this connection till now. It is high time a strong mechanism for the rationalization of fuel price (one nation, one price--why Delhi should have the lowest price?) and its maintenance at a stable level has to be evolved as a national priority. Frittering away the precious results of the sizeable investments made of the tax payer's money in building the temples of progress of this nation, sadly, is the unsustainable economic mantra of Singh and his cohorts. NOBODY has the right to sell off what he has not built or what he doesn't own! This mindlessness has to be stopped--NOW! WHOSE MONEY IS IT ANYWAY ??? Over the past many weeks, our little group had busied itself mainly with just a couple of questions. Do we need politics, and do we need a government of the kind we have now. For our close-knit group, mostly of men, living within our limited means was the only way, whether we were retired or about to retire, employees or honest businessmen (yes, such a tribe do exist in this Mahan Bharat, now better known for its predatory corporates and their cronies for whom dishonesty is the key to success! ) or entrepreneurs. Inflation was very real for us as it squeezed our lives for no fault of ours, and it wouldn't go away despite the admonitions of stalwarts like Pranab Mukherjee or even PM Singh. Nations can easily go into what they term a deficit budget and spend much more than they have. Unfortunately such fiscal magic does not come to bail out the poor man trying to make both ends meet in these hyper-inflationary times. The above serious questions were triggered mostly by the changing "colour" of recent politics. Gandhiji, as most of us agreed, was perhaps the greatest of politicians. But his type is an extinct breed even in his Congress party, though they took care to wear 'khadi' and the 'Gandhi cap' till recently. Not any longer. In these enlightened and modern times of 'gen text' and social media, khadi has gone God alone knows where. And if anybody wants to have a look at the 'Gandhi cap', s/he could go to Jantar Mantar or wherever else Anna Hazare is --he wears one proudly; and by God, it does suit him! Perhaps it is good that Congress has jettisoned both Gandhi and his cap and khadi at one stroke. But we are likely to agree that politics of the right kind is the fuel that powers any healthy democratic society. But the trouble with today's politics is that it is one hundred per cent party politics --and if you are not a party maniac, there is pretty little for you there. Now how about governance? Those that are old and experienced will surely know that orderly governance rather than unfettered anarchy is what gives a well-rounded fullness to life. Now what all areas do we need to be governed in as a people? First and foremost, law and order in society; then a happy compromise has to be maintained between the conflicting interests of the billion citizens of this nation, and that calls for some policies that are acceptable to most and that will guarantee the welfare of virtually all. Healthcare and social security/welfare also call for a strong framework of governance. Regulating the economic mechanisms of a teeming nation surely needs perspicacious governance. And, looking outwards, taking care of ourselves and proactively interfacing with the alien nations of today's shrinking world requires great acumen in governance. A closer look would reveal that every collective human activity in society and a nation demands policies of governance which shall put the collective needs and aspirations of its people uppermost. When you start thinking like that, do we dare to call the bunch of dissembling, opportunistic, arrogant, profiteers manning the machinery of government at the current moment a government? There is likely to be agreement that there need be no great discussion about whose interests they are serving with alacrity at this very moment. The collective citizenry, and their welfare, is far from their minds! Handling money with prudence requires fiscal knowledge, experience and integrity--precisely the qualities that we least see in our ministers. The CAG's indictment of the government first on the 2G scam and recently on the Air India scam ( worth about Rs 10,000 crore and surely more, and according to many knowledgeable insiders, the first step in its disinvestment and handing over to a private player who, purely in the interests of National pride probably, is willing to take over a loss-making organization!) makes one thing patently clear--the present crop of ministers should be the ones that we should trust last/least when it comes to handling the tax payer's money. The last straw was the inordinate hike in fuel prices that came as a post-poll gift to the 'aam aadmi'. According to the oil companies, apparently run by a bunch of retired angels, they are losing about Rs 10 on every litre of fuel sold and yet, they have, in a gesture of love and compassion, hiked the price by only about half of that. Oh, what magnanimity! At this rate, if we are to believe their protestations of loss, they should have gone right under a long time ago. And this country would not have been poorer for that! What beats all logic is that it is in the midst of this long history of "loss making" that the oil companies are vying with one another to open another 1,000 fuel outlets in a small state like Kerala. It beats me when it comes to understanding their logic. Ah, maybe they want to exhaust all their stock and commit "hara-kiri" and die trying their best to help the motorists..like a candle in the wind that burns itself to nothing. Ho, the poor heart bleeds when one thinks of that... No wonder Murli Deora, the former petro minister always wore a pinched look when he was talking about oil companies and fuel prices. Who knows the heartaches of heading a ministry cursed with perpetual losses and perdition?? It is unlikely that many of us saw a small news item in the papers (no, such small stuff is below the "sensation level" of the TV channels) a few days back. The headlines merely notified us that Rs 20,001 crore was being paid to the oil companies as subsidy by the government. Naturally this was to compensate the losses that the companies had run up. This was in addition to the earlier instalment of Rs 20,911 crore, which took the total subsidy for 2010-11 to Rs 40,912 crore. The total loss for last year was, according to the companies, Rs 78,000 crore, and naturally they demanded their pound of flesh by asking the government to cough up another Rs 30,000 crore. But our beloved government, in a gesture of supportive sympathy to its 'subjects', roundly rejected this demand! What more do you want??!! The figures make for interesting reading -- for those who can understand figures. But the question that comes to the aam aadmi's mind is, do we trust these guys with such astronomical sums of money? ... our money?? It is a very funny situation. The oil companies import crude, refine and sell it in India for a loss. The government compensates them not fully, but as and how they deem fit, with a subsidy. Both are funded by the tax payer's money-- the public sector oil companies and the government. Now what about all that Indian oil from Indian wells? And who is the loser? And who is the wiser?? Now will somebody tell me how much a litre of fuel will cost if somebody were to import it and sell it like many other imported commodities? I put the question to a few trader friends and they tell me, quoting the prevailing prices, that it should be way cheaper than the price at which we are forced to buy it now. Ah, the taxes, both central and state, on every litre of fuel. What is the tax money on fuel used for? For developing 'infra-structure' in the related fields--that translates as oil wells and refineries, roads, vehicle manufacturing etc etc. Oh, that means we the tax payers are funding oil exploration, and we own the producing oil wells in India. What returns are we getting for all that "share money" we have pumped into that? Pretty little. The arithmetic of the oil companies become clouded when the question of the quantum/pricing of local crude/refined fuel comes in. But now the trend is for the public sector company to explore and dig productive wells and then give it all away to players like Reliance. Nobody has forgotten the move for handing the Assam refineries to them on a platter by the crony minister. But then the sad truth is that a large percentage of the tax on oil is goes to fund the existence of the top heavy and extravagant "gaddi" of ministers and their coterie. Those who had been paying some attention to the annual budget for the year would have noticed the crores and crores of corporate subsidies allowed. To what purpose? How does that benefit the 'aam aadmi'? We have to stop this mindless spending of our hard-earned money by an inept bunch of ministers and other functionaries. If oil is to be decontrolled, let it be decontrolled fully so that anybody can buy it for the prevailing international rates and not the "fixed" rates as dictated by the "conglomerate". And whatevery subsidies are given have to be seen to reach and to benefit the end-user. No sir, we dont trust the oil companies, nor our beloved bunch of ministers. So please get off our backs with your complicated fiscal calculations. In an era when liberalization, globalization and privatization have proved to the bane of the common man in every developing economy, and is seen clearly to favour only the huge corporate players, it is time we asserted ourselves and brought in the necessary changes. Let us keep the CO2 emissions at bay by curtailing oil consumption. Let us develop our public transportation systems which would be mor eficient and cheaper from every angle. And let us see how much oil we have here in our wells, and at what price we can sell that without earning a loss for the public sector firms. Let us ration that fuel so that the public sector and the transportation sector and the public get their due share without driving up inflation. If you want more than your share, you could go for imported fuel at a higher price. We have to end this conspiracy. They manufacture more cars and drive up the expectations of people with fancy ads. Then they charge you through the nose for the fuel and siphon off our money for their mindless spending and skyhigh profits. Will anybody in their right senses opt for the expense of car and the tedium of traffic jams and gridlock wasting their time, to speak nothing of frayed nerves and health issues breathing in all that pollution, if one had effective public transportation? So whose interests are the government serving with this vicious circle of pricing and increasing demand? And the first step in that direction is to make the government sell the product at the correct price and not at an inflated one. The second is to rein in fuel-related inflationary trends by rationing fuel to essential services. The third is to rationalize imports and delink its price from that of the local oil produced. Enough and more cheating has been going on in this country in the name of many things. A resource-rich country like ours could easily manage itself very well--if we are honest. For Western-educated and western-bribed and western-arm-twisted people like our planner Montek Singh or our PM Singh, this argument may not make much sense. But then on second thoughts it is time we stood up and told them in no uncertain terms that we are not recipients of their charity; rather they are the paid servants of the honest and upright tax-paying people of this country. And we want our country to be run the way WE want. Sir, it is OUR money, and we guess WE HAVE A SAY in how you spend it for us! Let us tighten those purse strings a bit and show them who is the boss! Comments/references/opinions are NOT meant to hurt the sensibilities of any person or institution or group, but rather appear as rhetoric devices in order to bolster the general argument presented. Again, any offence inadvertently creeping in is open to correction. References given are usually on the Web and in the public domain. The aim of the blog is to conscientize the average reader about the situation under reference, and to instill in him a need for pro-active action in this connection. All rights fully owned by the blogger. Quotes/Links are encouraged. Kindly post a request in the Comments box and also acknowledge the source.